Captain Robert Ashton, Earl of Darington, knows finding a bride in London will not be easy—not since he has been dubbed the notorious "Pirate Earl". What he didn't expect was to get abducted—and to have his escape go horribly awry when an innocent lady gets caught in the crossfire. Enter amateur physician, Miss Emma St. James. She may appear sweet and demure but she quickly proves herself to be equal to any challenge, including saving Darington’s life. Just when Darington is sure he has found his perfect bride, she reveals she’s traveling to meet her betrothed. 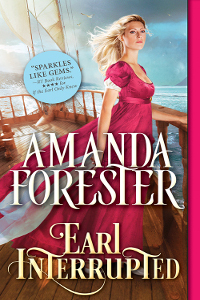 Duty calls them apart, but when an old enemy surfaces on the high seas Darington will risk all—his fortune, his name, and even his life to keep her safe and win her heart. Jyne Cambell is not about to give up her castle without a fight, even though her forces are far outnumbered. She's proud and determined, and Cormac can’t help but be impressed by her devious plots to force him to leave. Soon, his allegiances are as confused as his feelings for the fair Jyne—though he may have captured the castle, it is she who captures his heart. Excited to be a part of the Passport to Romance readers event, Saturday, October 17th from 6-8pm at the Bellevue Westin Hotel Grand Ballroom. I'll be there with fun prizes and giveaways. Hope to see you there! I am looking forward to meeting with hundreds of Romance Authors at the Romance Writer's of America annual conference, this year in New York City! WINTER WEDDING has been given a starred review by Publishers Weekly. Now each book in the Marriage Mart Trilogy has been given a starred review! Enjoyed participating in the King County Library's Romance Extravaganza - thanks to everyone who came out! MIDSUMMER BRIDE has been given a Starred Review by Publishers Weekly! WEDDING IN SPRINGTIME named one of the top ten romances for 2013 by Booklist! I am excited to return to medieval Scotland to visit the Campbell family in my first novella, THE HIGHLAND BRIDE'S CHOICE. This novella features the Scottish ancestor of Mr. Grant, the hero in A WEDDING IN SPRINGTIME. It is a several hundred year prequel! 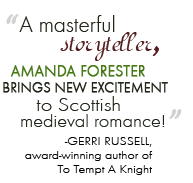 Publishers Weekly names A Wedding in Springtime one of the Best Books for Summer 2013! A WEDDING IN SPRINGTIME receives a Starred Review from Publisher's Weekly! I am excited to begin a new Marriage Mart series set in the Regency. A WEDDING IN SPRINGTIME will debut in May and MIDSUMMER BRIDE is due to be released in November 2013. I am looking forward signing books with hundreds of my fellow romance authors at the "Readers for Life" Literacy Autographing, Wednesday, July 25, 5-8p.m., Anaheim Covention Center, CA. Proceeds benefit ProLiteracy Worldwide and local literacy organizations, so you can meet your favorite author, buy some great books, and fight illiteracy all in one event - awesome! Launch party for True Highland Spirit at the Barnes and Noble in Lakewood, WA, Friday March 30 from 3:00-7:00. Hope to see you there! True Highland Spirit receives a Starred Review from Publisher's Weekly! 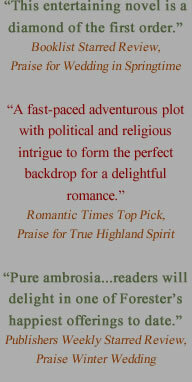 THE HIGHLANDER'S HEART received a glowing review from Publisher's Weekly. Check it out! 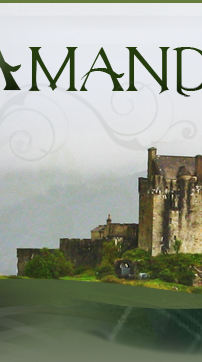 The next book in the Highlander series, TRUE HIGHLAND SPIRIT will be released March of 2012. 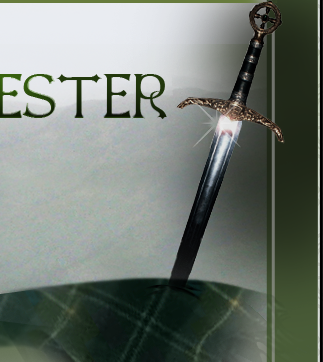 Come join me for the launch of THE HIGHLANDER'S HEART at the Emerald City Writer's Conference bookfair held at 4:30pm on Saturday, October 29, 2011 at the Westin Hotel in Bellevue, Washington. Sign up for Amanda's newsletter and read Miss Devine's Christmas Wish for FREE!